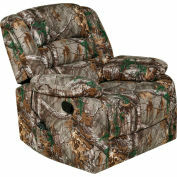 The perfect combination of comfort, style and quality construction. 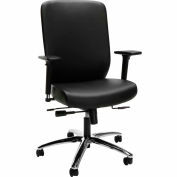 Tailored seat and back with top-grain leather upholstery. 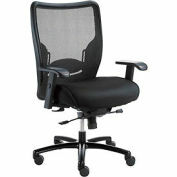 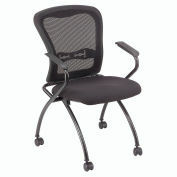 Waterfall seat design reduces pressure at the back of your knees for improved circulation. 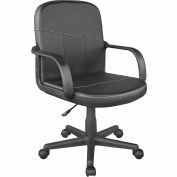 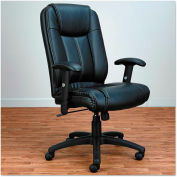 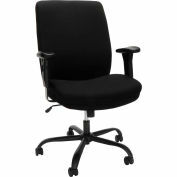 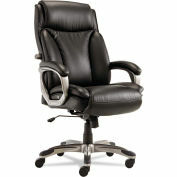 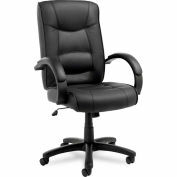 Roll armrests feature padded leather caps for added comfort. 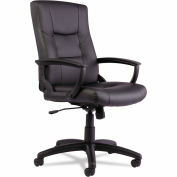 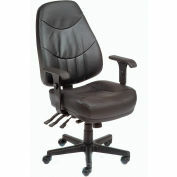 Heavy-duty nylon base has dual-wheel casters for easy mobility. 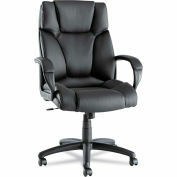 Recommended Applications: Executive & Management; Seat/Back Color: Black. 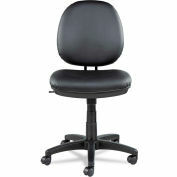 Compliance Standards: GREENGUARD Indoor Air Quality Certified®; Meets or exceeds ANSI/BIFMA standards. 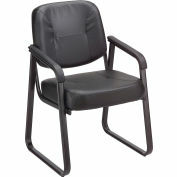 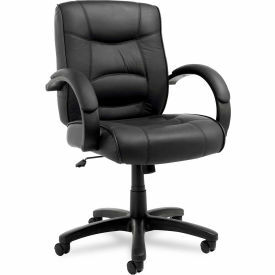 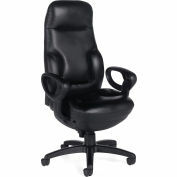 Note: Casters supplied with this chair are not suitable for all floor types.